Injuries arising from sports-related activities are generally compensable only under certain circumstances. The reason is because sports are often inherently considered risky, and athletes and participants assume some level of that risk when they agree to engage. Generally, if a sports-related injury involves some type of recklessness or intention to hurt someone, then it can be compensable. Youth sport injuries in particular are where most liability cases arise because they are unique with regard to the age and experience of the persons involved in the sports. Even then, if injuries occurred in the normal course of the sport, collecting damages is going to be tough. However, if injuries occur because the school or league allowed conduct that was outside the scope of the game rules (i.e., allowing use of excessive force, excessive exercise in the heat, etc. ), then there could be liability. There could also be damages sought if the coaches or other staffers failed to appropriately respond to a medical emergency. In a recent sports injury lawsuit out of Indiana, the state supreme court justices ruled that a woman seriously injured by a classmate with a jump-kick in a karate course won’t be allowed to continue with her claim for damages. The issue was she could not prove the defendant acted with recklessness or unreasonableness in the course of his participation such that would warrant a finding of negligence. Plaintiff was a regular attendee to a karate class in Indiana, earning her black belt in about two years. One Saturday afternoon, she attended a class open to all belt levels in which about 60 people attended. The focus was on use of sticks, nunchucks, kicking and sparring. At one point, plaintiff volunteered to hold the bags needed for a “kick-the-bag” exercise, in which participants would practice a type of kick. Plaintiff had reportedly volunteered for this numerous times before. She understood this was in general a contact sport and that physical strikes sometimes occurred. In the course of this class, a lower-ranking belt student – a stranger to plaintiff – approached to kick. He did the first two side kicks without issue, but then performed the third kick he jumped, accidentally knocking plaintiff to the floor. He apologized profusely, saying he hadn’t meant to jump, but plaintiff was seriously injured, requiring surgery and physical therapy. Plaintiff sued her fellow classmate, alleging his actions were negligent, reckless and unreasonable resulting in her personal injury. Defendant moved for summary judgment, arguing the kicks were ordinary behavior within karate generally. However, plaintiff argued a jump is never done in connection with this particular type of drill. Trial court nonetheless granted defendant summary judgment, finding the jump kick was ordinary behavior of participants in karate and also within the context of this drill. This ruling was reversed on appeal when appellate justices ruled questions of fact remained as to whether the jump kick breached an alleged duty of care. The court also said that the commonality of jumping in a karate practice kick isn’t well understood enough to be decided as a matter of law. The case then went before the Indiana Supreme Court, which reversed. 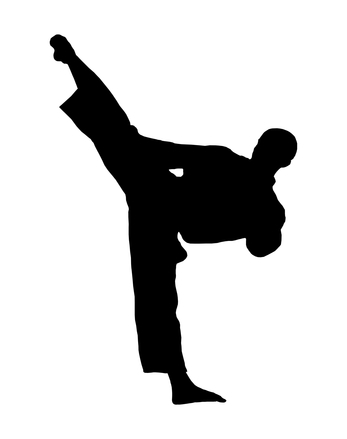 The court held defendant breached no duty because a jump kick is ordinary behavior within the sport of karate.